(August 7, 2018) -- Rodefer Moss & Co, PLLC, an accounting and consulting firm with three area offices, has been named for the second year in a row by Louisville Business First as one of Greater Louisville’s Best Places to Work. 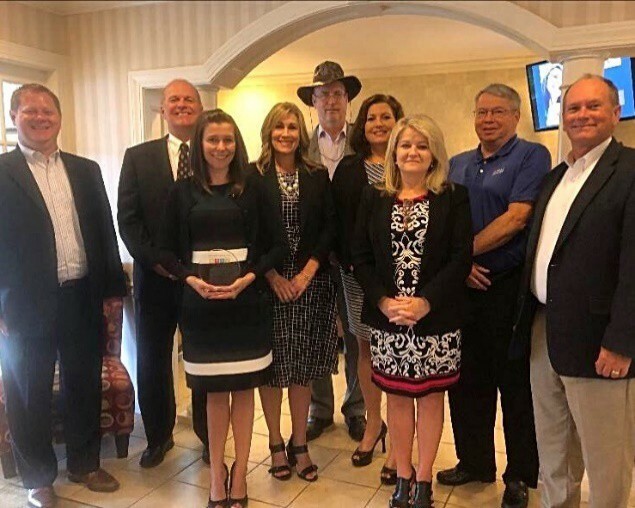 Pictured L to R: Matt Brown, Kenny Adams, Lindsay Beard, Kim Naville,Doug York, Lisa Newbanks, Gwen Spears, Rich Robinson, Joe Brown. Rodefer Moss, three-time award winner of Best Places to Work, was one of the 22 selected finalists this year and was among three other companies in the 25-99 employees category. office culture, management and work-life balance. Those answers helped us pinpoint places that offer extraordinary employee-friendly policies, programs and perks,” Louisville Business First said. “It is an honor to have been selected as a Best Place to Work in the Greater Louisville area! We are very proud of our employees and want each of them to know they are valued. They are great people providing outstanding service to our clients. We believe caring and supportive relationships between employees and management is the foundation of a solid work environment that fosters a sense of community and family. It is our duty to provide our team with a challenging, professional, supportive and fun work place and ensure they find a healthy work/life balance,” said Doug York, Rodefer Moss President.